Marshal Dillon is trying to bring a suspected murderer back for trial (on foot) for killing a lawman friend of the Marshal’s. He finds the man near a large sheep ranch run by an independent Australian immigrant named Tyson [Fletcher Bryant]. Tyson wants to handle the prisoner in his own way for allegedly killing a few of Tyson’s ranch hands. 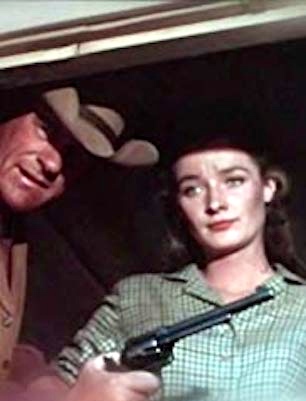 The Marshal enlists the help of a local doctor [Paul Fix] and Tyson’s own daughter [Diana Muldaur] while acquiring horses. Ultimately Tyson and the Marshal meet face to face before returning to Dodge City. 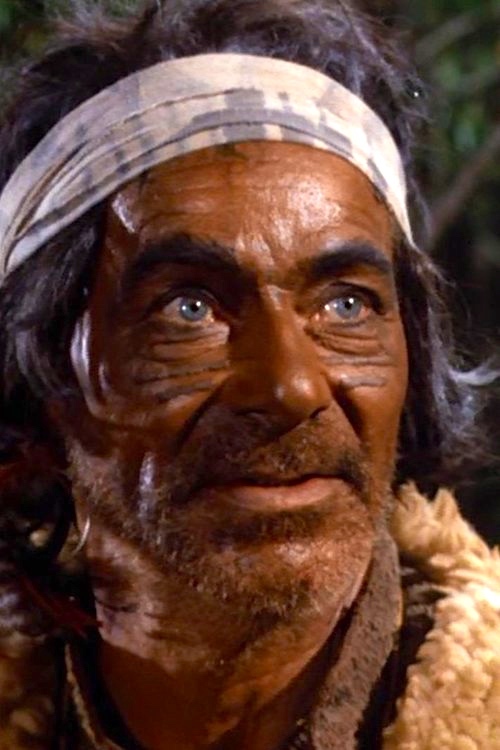 The characters include an aboriginal sheep herder Changra [played by Shug Fisher], who was brought from Australia with the Tyson family. Diana Charlton Muldaur (born August 19, 1938) is an American film and television actress. Muldaur’s television roles include L.A. Law‘s Rosalind Shays and Dr. Katherine Pulaski in the second season of Star Trek: The Next Generation. Shug Fisher (September 26, 1907 – March 16, 1984), born George Clinton Fisher Jr., was an American character actor, singer, songwriter, musician and comedian. 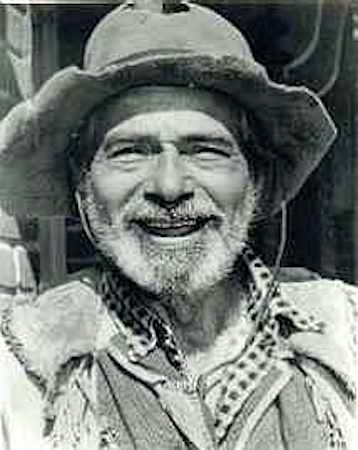 During a 50-year career, he appeared in many Western films, often as a member of the Sons of the Pioneers in Roy Rogers serials. Fisher also had supporting roles on many TV shows, most frequently on Gunsmoke and The Beverly Hillbillies. His comic trademarks included his ability to stutter at will and his bemused facial expressions. This entry was posted on September 29, 2018 at 12:44 pm and is filed under Actors, Figurative language, Formulaic language, Language play, Movies and tv, Race and ethnicity. You can follow any responses to this entry through the RSS 2.0 feed. You can leave a response, or trackback from your own site.